It's London Summer Festival Season! RHAC will be at Sunfest raising awareness about PrEP and U=U. Come find our booth near the Clarence entrance of Victoria Park! Look out for RHAC at Pride! This year's theme for Pride is Knowledge. 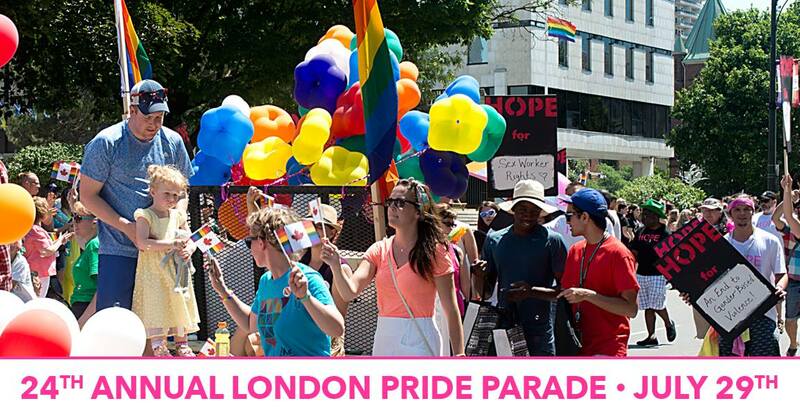 The London Pride Festival is a volunteer non-profit organization that works to organize an annual opportunity to bring together the LGBT+ communities and our allies, through events and activities, which promote unity, inclusion and awareness of sexual and gender diversity. We will be walking in the parade on July 29th -make sure to come join us! RHAC will be participating in the first TD Annual Pride Party on Wednesday, July 18 from 5-7pm. To show support, please bring some red yarn for our Red Scarf Campaign. See you there! If you are interested in volunteering at the summer festivals, please contact our Volunteers Services Coordinator Fran McKeown at fmckeown@hivaidsconnection.ca or 519.434.1601 ext. 252.